Bathroom improvements are becoming more popular as people decide that they need more room. If you have a separate toilet and bathroom, knocking down the wall and combining them into one big space is a good option. The new wall hung toilets can actually add to the appeal of a bathroom. However, it is a good idea to make sure that you have a separate toilet elsewhere in the home if you don’t want to risk affecting your resale value. Don’t wait any longer, contact us today about your small bathroom! .If your extension involves removing walls, then Ison Homes can take care of this for you to ensure that it is not load bearing while everything stays structurally sound. 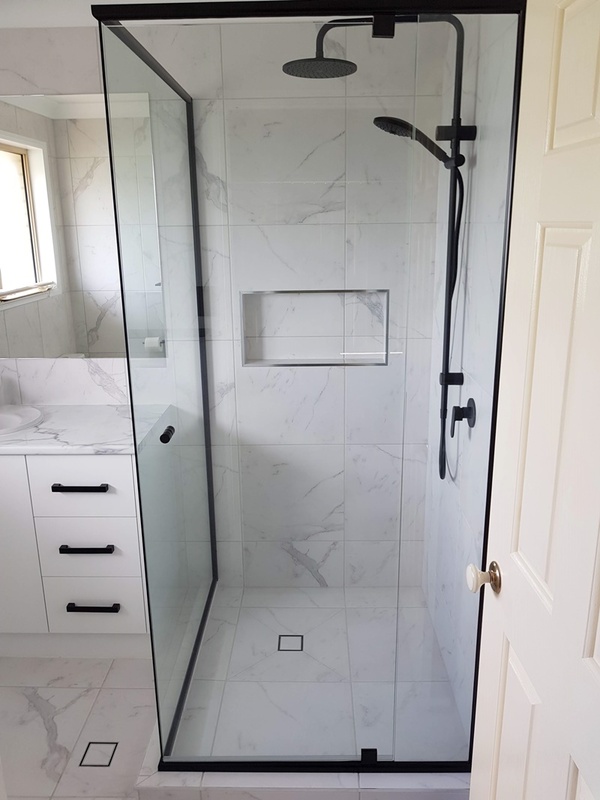 Extensions will also require the moving or addition of plumbing and electrical, again at Ison Homes we can take care of this for you without any worries. This is the perfect chance to design a new bathroom and layout that works perfectly for you. We are not only a bathroom renovation specialist, we also have the experience of building hundreds of new homes. Why not have a reputable company doing it all for you ? Other costs that you will incur include additional tiling, repairs or refinishing to walls and ceilings, additional lighting, additional heat or additional ventilation and so forth. The big advantage of extending is that you can create a space where you can use your bathroom comfortably and that contains everything you desire. If extending your bathroom is not an option, there are still some great tricks that you can use to make your bathroom feel bigger. Mirror can instantly create a feeling of more space. Be mindful of the “door swing.” In a small bathroom, the door swing can take up as much as 25% of the room. Lighter colours used on the walls will help make the space feel bigger. Use bolder colours in your accessories. Trade in the standard vanity for a wall mounted or pedestal basin. Place toilet, sink, and shower/tub along one wall to mitigate costs. While it might not seem logical, laying ceramic or resilient tile at a diagonal makes small bathrooms feel less cramped. How do you feel about linen closets? If you have closet space just outside of the bathroom, this is the place where you should store towels–instead of taking up valuable space inside the bathroom. Use wall hung fixtures wherever possible. A frameless glass shower screen look more streamlined and will make the bathroom feel more open. Clever lighting can make a big difference – recessed lighting means that the ceiling will feel higher.